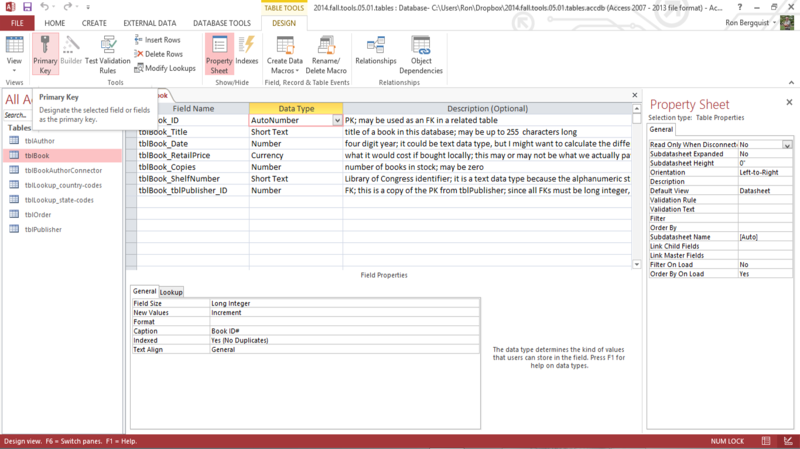 Healthy, well-constructed tables are one of the foundation stones of an effective relational database. 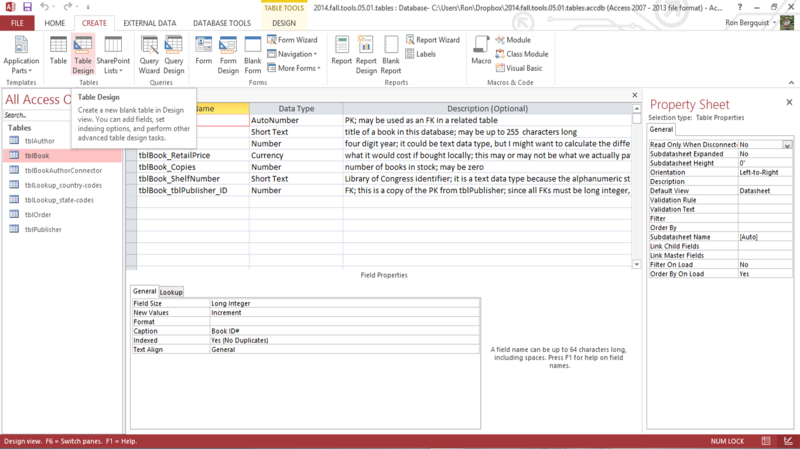 rows and columns in Excel. 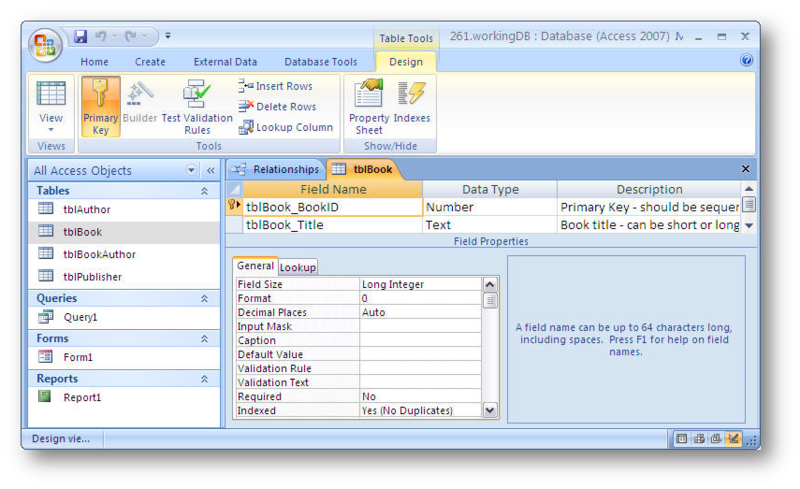 But we can do so much more with field properties in Access than we could do with column headings in Excel. 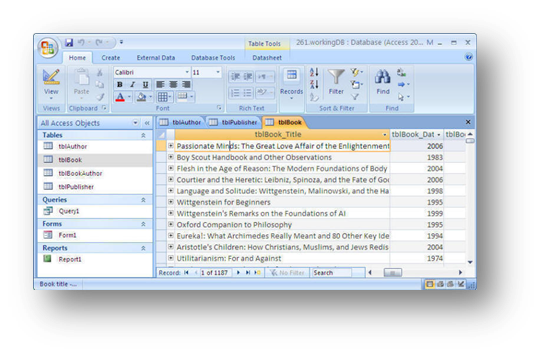 Each row contains a record which is a single entry in a table and each record is composed of several descriptive fields. 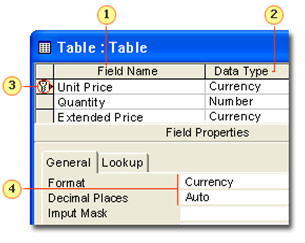 Each column contains a field (aka field name; column heading) which is a column label describing the type of information in the column. 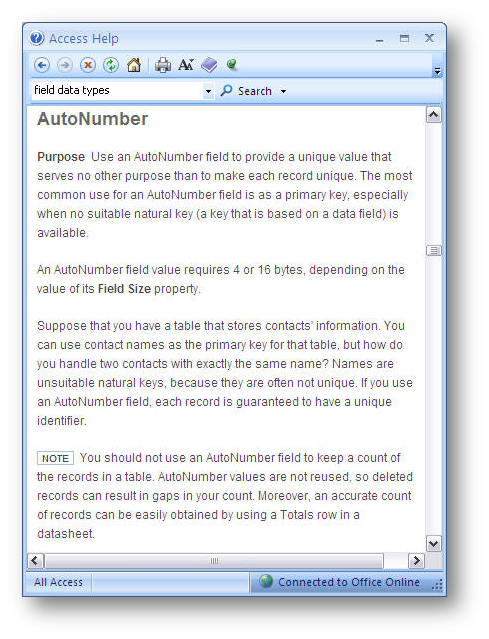 A field is a single kind of fact that may apply to each person, event, or other record. 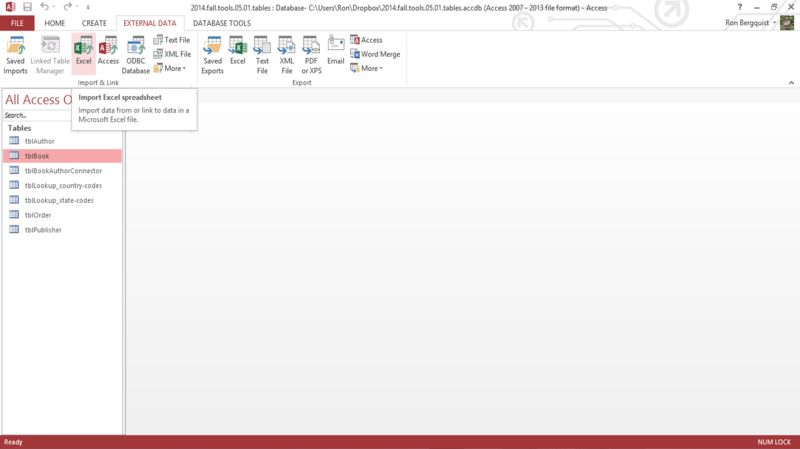 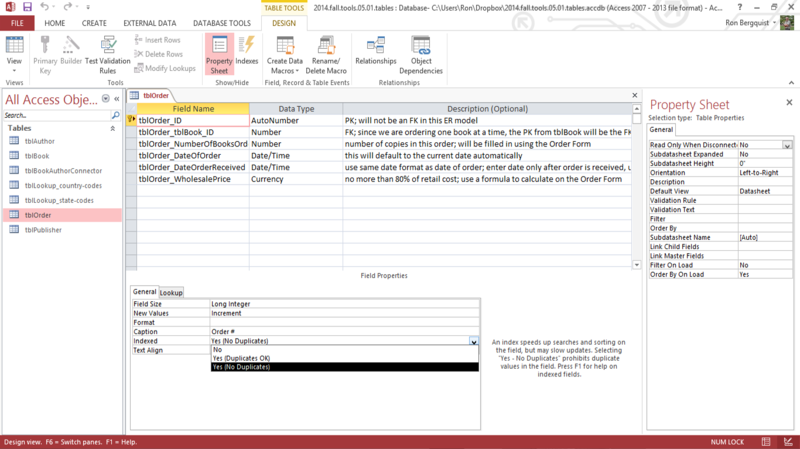 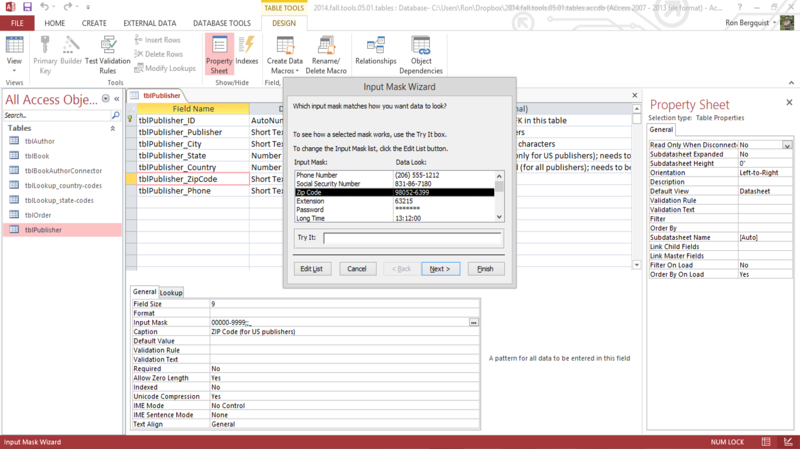 You can import data from an Excel workbook (for example) by using the External Data tool which allows you to find the needed file type. 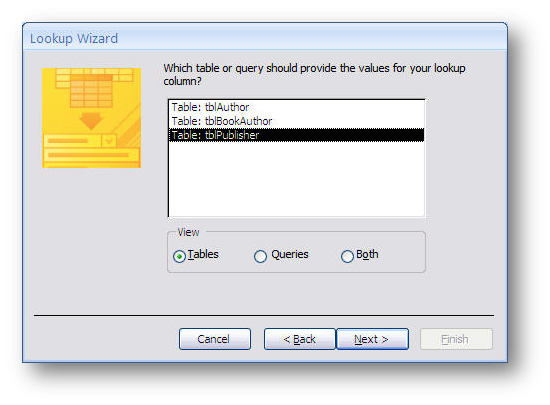 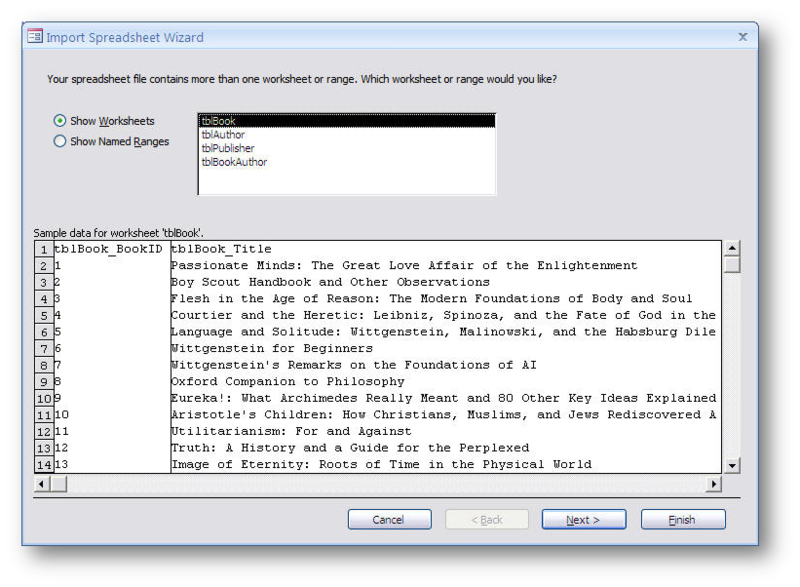 This will start the import wizard that permits you to select the worksheets and the columns that you want to import. 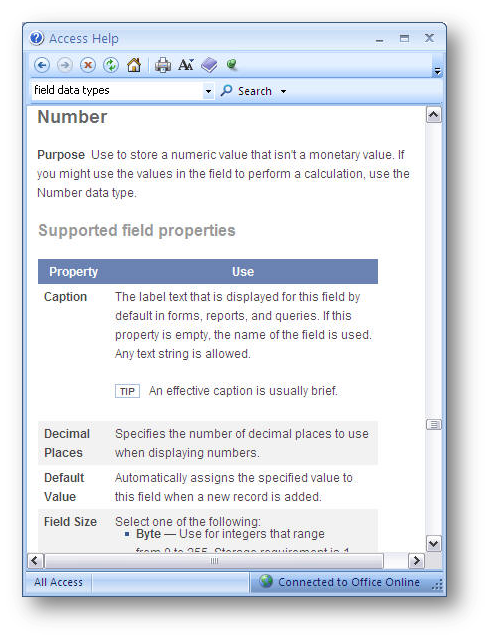 field properties are a set of characteristics that provide additional control over the data. 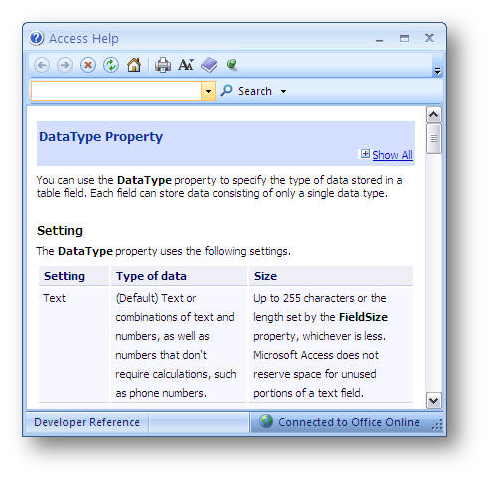 In Design View, click the "Primary Key" icon in the desired field. 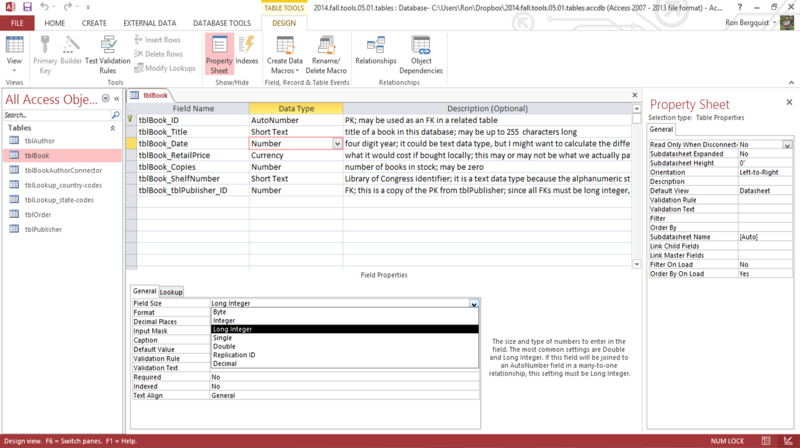 Should it be stored in the database in a specified format? 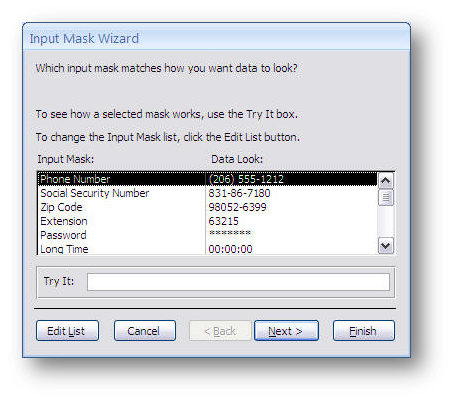 Use the wizard by highlighting the field and click on the expression builder button (...) which starts the Wizard and steps you through the process of creating a specified way to display data. 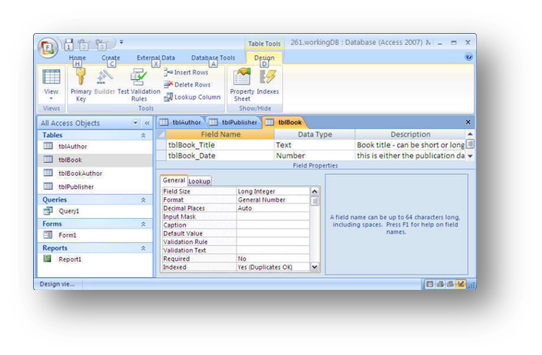 You can edit in either Design View or Datasheet view, however, the only place to make permanent changes is in Design View. 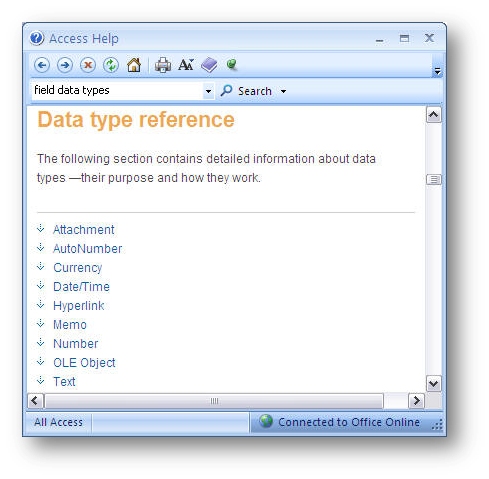 As in Excel, you can use functions in Access. 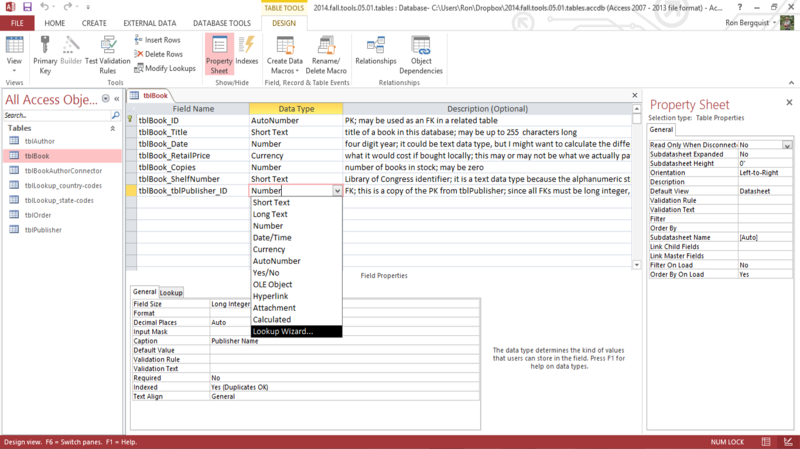 For example, you can use functions in forms, reports, the design of tables, etc.